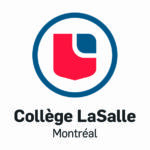 Graduate scholarships are offered by the Fondation de la mode de Montréal to encourage the pursuit of undergraduate and graduate studies in the field of fashion, in Canada or abroad. students graduating from a fashion program (design, marketing, production, textiles, etc.) in an educational institution located in Quebec and approved by the Ministère de l’Éducation et de l’Enseignement Supérieur. young designers and professionals who care about fashion in Quebec. students enrolled full-time in a university degree program in Quebec. To obtain the participation form for the contest. Note: The competition is now closed. These educational institutions are recognized by the Ministère de l’Éducation et de l’Enseignement supérieur. Each year, graduates of various fashion programs turn to the Foundation to obtain a scholarship that will allow them to study at institutions of higher learning in Quebec or abroad.